Congratulations to smARTist Alumni Thyra Moore! Who was recently selected by National Watercolor Society to have one of her paintings selected for their upcoming annual exhibit and an invitation to apply for their signature membership. Congratulations to smARTist Alumni Kathleen O’Brien for being selected as the Artist of the Month at The Art List. 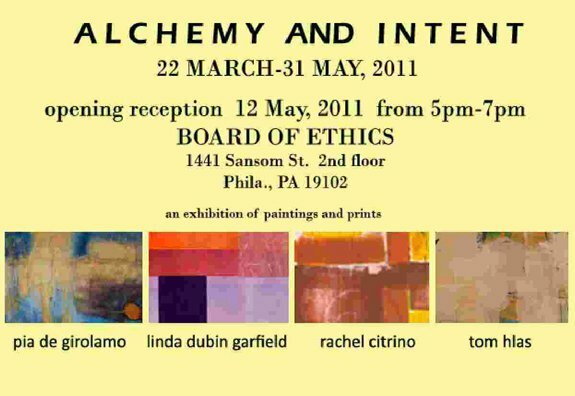 Since the beginning of my art career in 1968, I have persistently empowered my life and art with the perceptible transformative presence of energy. Nature is an enduring source of inspiration, and its essence is palpable in all my work. Art is a spiritual practice that I approach with the intention to transmit the beauty I encounter. I have exhibited my artwork in over 100 venues nationally, consult and teach. I was born in Japan and lived in Italy, Colorado and many places in between. I am primarily self-taught, and am grateful to my first teacher, my grandfather, and the classes I attended at Kunstshule Rödel, Germany, Corcoran School of Art, Washington, DC, and the Naropa University, Boulder, CO. I acknowledge my spiritual teachers, Wallace Black Elk and other Native American Elders, who impressed on me the aliveness of the Earth. I work full time from the home studio I designed and my husband built at Sunwise Farm and Sanctuary. I am a recipient of the 2012 Al Smith Fellowship from the Kentucky Arts Council. As one of the benefits of receiving this honor, her art is currently featured on The Art List’s Facebook Fan Page showing a collage of her artwork. Dear Friends, winning this honor makes me happy! On this link you can find my interview and art. For those of you who are artists, I recommend subscribing to The Art List. It is the best source for opportunities I have found. 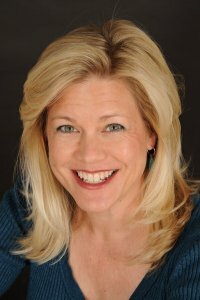 You can learn more about Kathleen at her website http://www.kathleen-obrien.com. What Do Art, Tango, and a smARTist Alumni Have In Common? 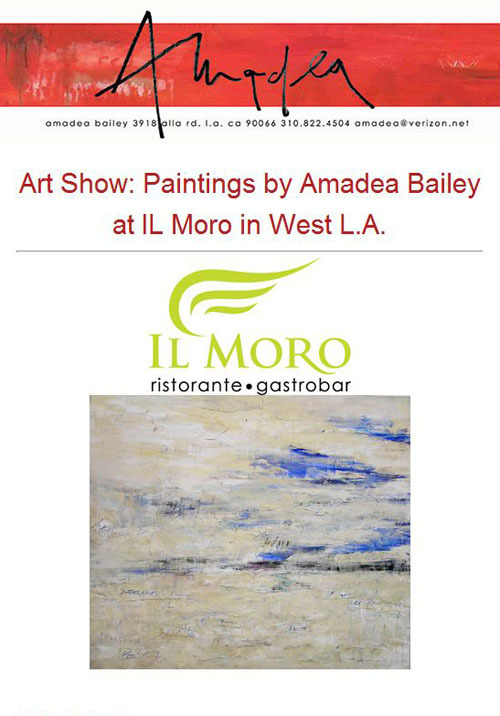 On March 22, 2012 smARTist alumni, Amadea Bailey, is going to take showing in a restaurant to a whole new level. Not only is the owner of this very classy establishment preparing a special menu just for Amadea’s exhibit, but she will be performing one of her other creative forms of expression at the opening: the Tango! This is a perfect example of when showing in a restaurant can be spectacular. Not just any restaurant. Not just any opening. But one that engages and creates an exciting event for serious potential buyers and collectors! This is exactly what Jack White, at smARTist 2012, spoke about – and what has been the backbone of his multi-million dollar art career: creating exciting events for his audience. AND, Amadea has been coming to the annual smARTist Conference since the beginning. She has even credited smARTist for moving her from part-time artist to full time! 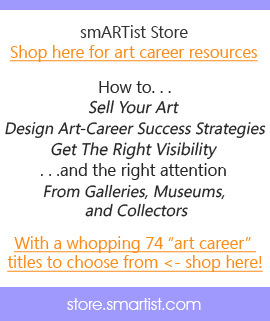 Isn’t it time you said yes to your art career? What: ART and TANGO: Join me for an art show featuring a selection of large and small-scale abstractions as well as works on paper. The venue is an elegant Italian restaurant, Il Moro in West Los Angeles. Please come for dinner as the owner is making a special menu for my guests (also possible to order off of the regular menu). Reservations for are recommended. Please call (310) 575-3530 to make a reservation. At 10:00p.m. there will be a tango performance with Amadea and Moti Buchboot. Not to be missed!!! When: March 22nd, 2012 from 8:00p.m. – 11:00p.m. The tango performance begins at 10:00p.m. Check out my Facebook Event to RSVP. I hope to see you all there! Coming Soon the smARTist 2012 Conference Home Study Edition – get on the list today to be one of the first to know when it is ready! As you may know, “Tuesday’s Bragging Rights” is an exclusive feature for the Alumni of the smARTist Telesummit – those artists who make a commitment to take their art careers to the next level – no excuses. And every year, from the time the conference /telesummit begins–and for months and months afterwards–the artists who come tell me heart singing stories. 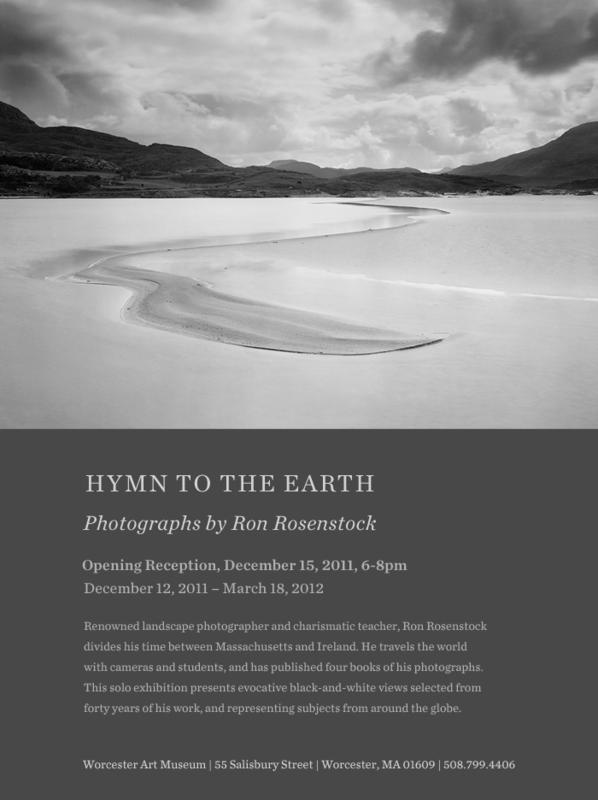 Congratulations to Ron Rosenstock, one of our 2012 smARTist Telesummit Keynote Presenters, on his new show, “Hymn To The Earth”, at the Worcester Art Museum in Worcester, Massachusetts. 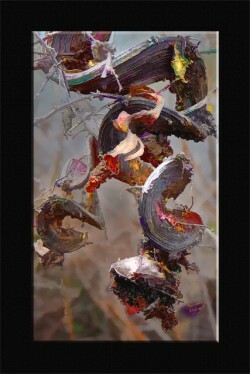 His photography will be on display from December 12, 2011 through March 18, 2012. If you’ve ever wondered what the key is to a sustainable, successful art career, come learn how (and where!) to connect with collectors and buyers with a feel-it-in-your-gut confidence because you know how to communicate effectively. smARTist 2012 will give you those keys. Sign up here for to be on the smARTist Telesummit Interest List. 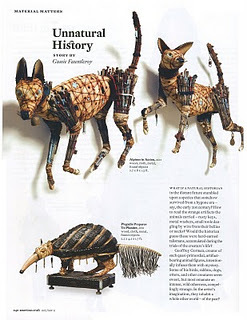 Congratulations to smARTist presenter Geoffrey Gorman on his artwork being featured in the October/November edition of the American Craft Magazine. 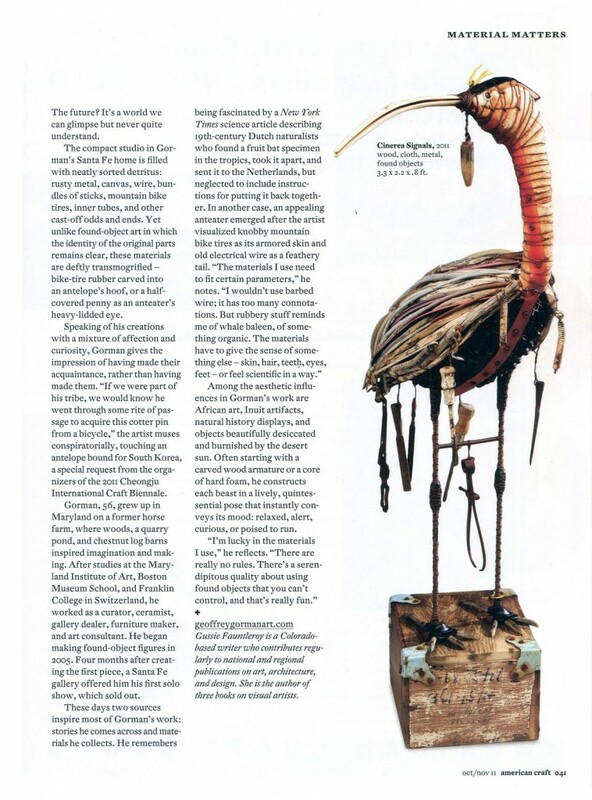 The “Unnatural History” article, by Gussie Fauntleroy, is a biography of Geoffrey and his art. You can read it in the 2011 October/November edition of the magazine, or online here. btw – Geoffrey’s coming to this year’s smARTist Telesummit 2012 as a special member of our brand-new, mid-week panel on collectors. Be sure to jump on our Interest List so you get all the goodies, know about the Early Bird discount as soon as it goes up, and be the first in line to get a seat! Congratulations to Lucinda O’Connell on being featured in this months Coastal Living Magazine. Coastal Living Magazine contacted Lucinda in the spring and asked if they could include her in their “Coastal Artists” segment. The segment highlights 9 artists from varied coastal areas and their different artistic works. 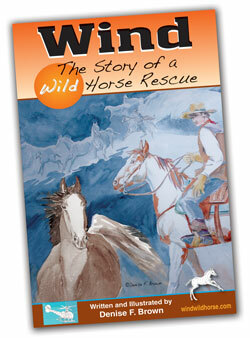 Make sure to check out Lucinda’s “Down Bunker Hill” is featured on page 30. Congratulations to smARTist Alumni, Georgia Mansur, on her article “Communicating Mood: An Atmospheric Process”. 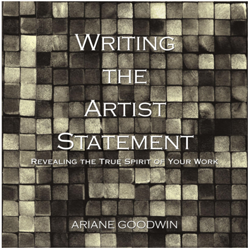 Her article was featured in the July 2011 edition of the Australian Artist Magazine. For more information on the magazine click here. Congratulations to smARTist Alumni Georgia Mansur on her upcoming workshops in Italy! 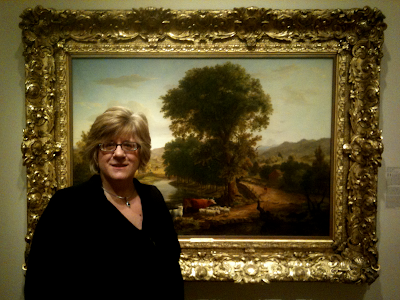 Georgia is well versed in all media and has a particular passion for painting en plein air (outdoors). A talented and versatile artist, she is a gifted communicator and highly sought after tutor, and makes every student comfortable, from raw beginner to seasoned professional artist. Her ability to teach to each individual’s level within a group is a rare combination of skill and experience that is hard to find amongst workshop instructors. Georgia’s positive approach and friendly manner is appreciated by students that have spent time painting under her guidance, producing beautiful work that is only possible with solid teaching and an understanding of the foundations and concepts necessary to achieve painting success. Learning to see ‘as an artist sees’ and simplifying the complexity of subjects will increase your painting skills and understanding in a way that will improve your work exponentially. Georgia will demonstrate daily and tailor her teaching for those using watercolour techniques as well as impasto acrylics and oils. 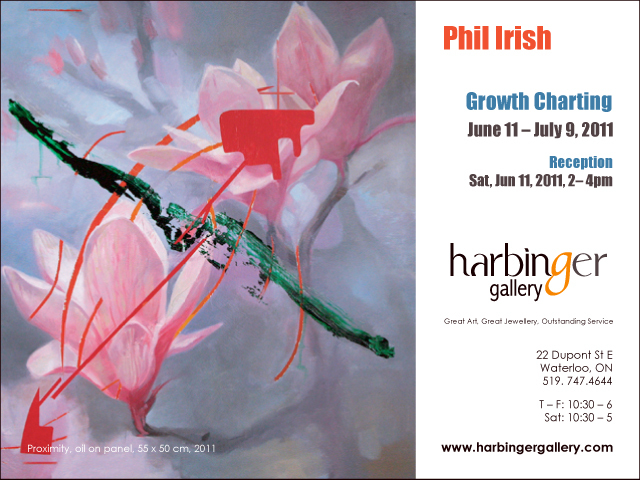 Harbinger Gallery is pleased to present the inaugural exhibition, Growth Charting by new gallery artist, Phil Irish. This series of work by Phil Irish marks a new development in his work, trading the storied maps for another kind of diagram. These works combine organic, floral imagery with bold geometric structures. On close examination, the rhythmic lines and diagrammatic forms are revealed from deeper layers within the painting. Buried colours slice through the realistic images, creating a tension between the organic and the synthetic, the natural and the constructed. Phil Irish, currently pursuing his Masters of Fine Arts at York University, received a Bachelor of Arts in Fine Art and English Literature from the University of Guelph, in 1995. 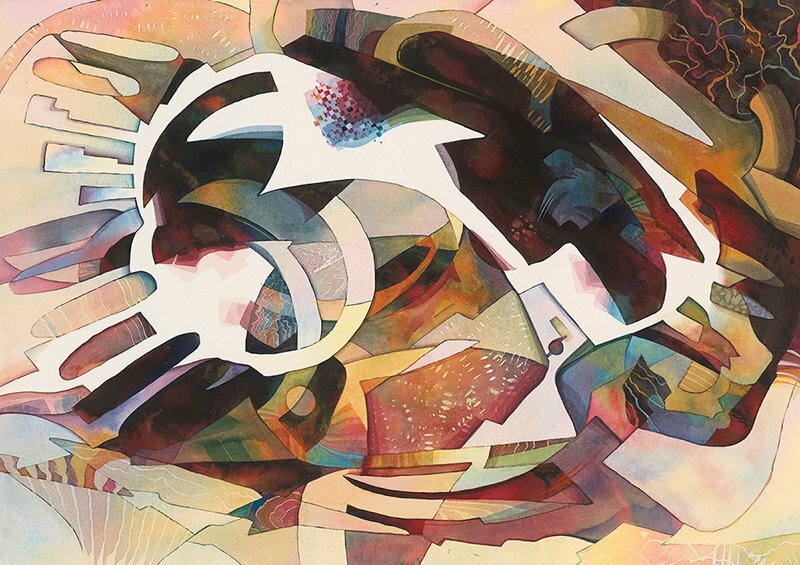 His contribution to the Francophonie International Painting Competition was exhibited at the National Gallery of Canada in 2001. Exhibitions at public museums, artist-run-centres, and commercial galleries include the Kitchener Waterloo Art Gallery, Tom Thomson Memorial Art Gallery, Joyce Yahouda Gallery, Angell Gallery, and AKA Artist Run Centre. 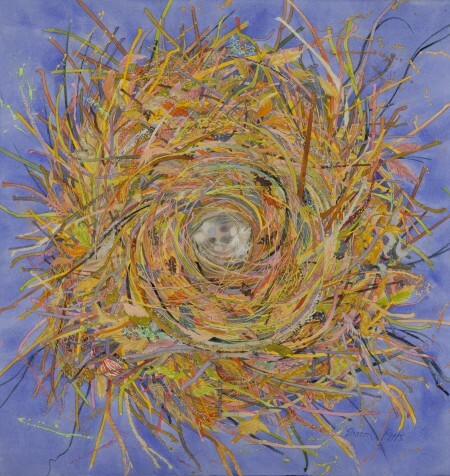 Group exhibitions across Canada and the United States have featured his work. He has developed new work during residencies at the Pouch Cove Artists Residency in Newfoundland, at the Symposium in Baie-Saint-Paul, Quebec, and as the City of Kitchener’s Artist in Residence. Irish applied his painterly vision to a web-based artwork commissioned by Oakville Galleries in 2005. The interactive project, titled “Whereabouts,” address issues of personal mapping and hidden histories. All are welcome to meet with the artist during the opening reception of Growth Charting on Saturday, June 11, 2 – 4pm. August 10 (no class on July 20). 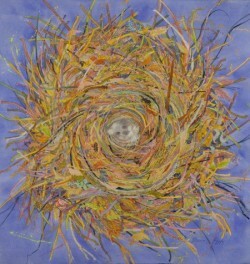 Sharon Pitts, known for her large, lush watercolors, has been exploring watercolor painting for almost 30 years. Trained in plastic and graphic arts at the University of Illinois–Chicago, the Pennsylvania Academy of Fine Arts and the Barnes Foundation, she has taught watercolor at the Montclair Art Museum for over 12 years and hosts painting holidays to France and Italy. Congratulations to smARTist Alumni Jan Blencowe on her upcoming show and lecture.